Claudia Creque Educational Centre students during the Recovery and Development Plan Competition last week. Students at the Claudia Creque Educational Centre are calling on local government to assign a resident physician to Anegada. However, the high school seniors said not only Anegada needs a resident physician. “We need a dentist and a resident doctor on all our sister islands,” they said. 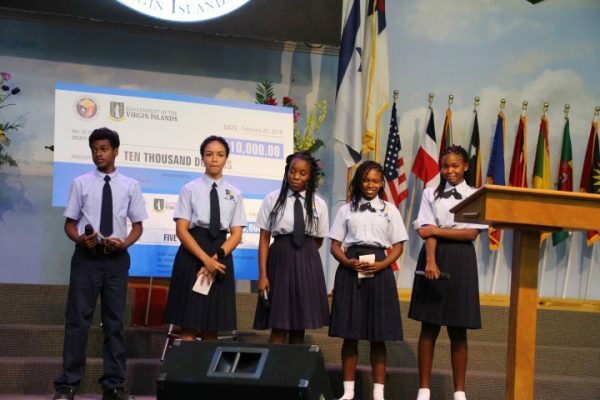 The Anegada-based students made the call while competing in government’s Recovery and Development Plan Competition last week. The competition gave students a platform to contribute to the recovery plan that will be effected in the territory. The students also called for government to implement other things on the islands. The scholars lobbied for a retirement home to be erected for the elderly on Anegada. They also said additional resources are needed for solid waste management territory-wide. “Another activity is the building of dorms for sister islands [students] who attend H Lavity Stoutt Community College,” the students added. The youngsters further requested that agricultural studies be included in their school curriculum. niceee… che che .. shana!!!! When they have it. They didn’t appreciate the teachers. Let them do with what they had. Well done, guys! Proud of you all. Great job CCEC students! Continue to make your community proud. These children are right these outer sister Islands needs Doctors and Dentist on each Islands….. Oh I forgot nobody likes to stay on these Islands cause them boring nothing to do!!! In a medical emergency, minutes and seconds matter; lack of urgent medical attention can mean the difference between life or death. 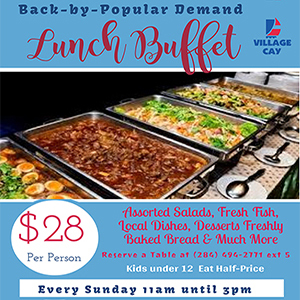 Anegada is the second largest island of the VI territory, lying the farthest from Road Town, the capital of Tortola the largest island in the territory. Additionally, Road Town is the seat of government and the business, financial, and entertainment centre……….etc. It is also home to Peebles Hospital, the lone public hospital in the territory. No doubt, Anegadians are Virgin Islanders and are entitled to the same access, availability and level of medical care as other Virgin Islanders. Despite Anegada’s remoteness from the population centre, efforts are needed to provide them quality medical care. Providing quality medical care to Anegadians is the cost of doing business, being an integral part of the territory. g. Institute an aggressive preventative medicine programme on Anegada. Great job by Claudia Creque Educational Centre students! Stay focus and keep your eyes on the prize. Good luck on your future endeavors. In addition to the above suggestions, construct a mini hospital on Virgin Gorda and medivac patients requiring emergency care from Anegada to VG. I can remember when a dentist used to go to Anegada once a month and see people at the clinic. I don’t know why they stopped, but I think the dentist thought his/her time would be better spent not being on the ferry for 2 hours each trip. I also remember Behavioral Health professionals used to go to Anegada regularly, but I don’t know if they do or not now.